I received many questions mostly from Filipinos who want to work in Canada as a caregiver (which is the path I travelled), for the past few years that I’ve been writing about caregivers. Sometimes the questions are similar. So I decided to collect all the questions and answers (that seemed like a blog post). 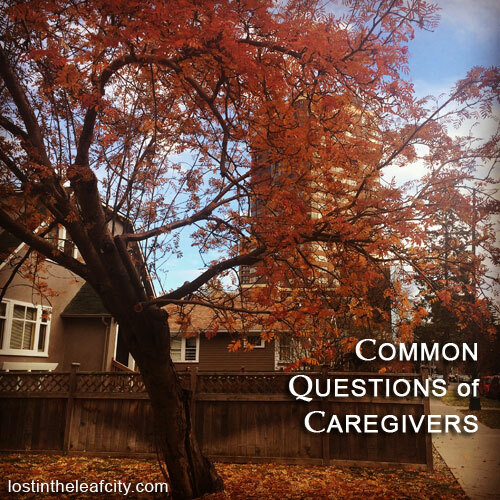 If you have a question about caregiver, I appreciate if you could spend time reading whether your question is already answered in this post. Otherwise, you can also try the search bar or send me questions. Let’s see if I can add it here. You’ll get an email from me once I’m done updating this post, so you wouldn’t have to wonder whether I receive the email or not. The answers are summarized but usually I send lengthy response depending on the questions. Let’s see how many of the questions you’ve been meaning to ask? Q: I do not have any experience in the field. Is it enough to have the 6-month classroom training in order for me to qualify? A: Having a six-month classroom training is just one of the requirements. The OJTs are done beyond six months. Also check if your school is accredited by TESDA. You also have to pass the exam for NC Caregiving II of TESDA. Q: What is the validity of NBI Clearance and how much time do I have to submit it for the application of permanent residency as a caregiver? A: The NBI Clearance is valid for one year and if I’m not mistaken, the NBI should be valid at least 3 months before the application is submitted. Q: Should I get married in the Philippines before I submit my application for open work permit and permanent residency? A: What is your goal in Canada? I don’t want you to become selfish nor self-centered. But this is one way of having clarity. All temporary workers (including caregivers) have one common aspiration: permanently staying in Canada. Clearly, security is the main priority. Canadian Law keeps on changing and we’ll never know how it will affect the TFW. How fast do you want to get the coveted PERMANENT RESIDENCY? What do you want to do after you become a permanent resident? I’m emphasizing the PR because the rest of your plan (having a family, getting a new job etc.) will depend on your status. Here is a story of my friend that I hope will help you. She submitted her applications as a single then once she got her PR, the wedding occurred in the Philippines. to bring her husband to Canada. Q: How much is the caregiver salary? A: The caregiver salary is different in every province and skills. Caring for children is a low-wage position. While you can earn more in caring for elderly and person with disabilities. Q: How long does it take you to receive the open work permit and permanent residency? A: For OWP, it took me three and a half months to get the permit; one year for PR. Note: the period is case to case basis. Singles get the PR faster based on my observation and personal experience. Q: Does the principal applicant for permanent residency has to take a medical examination in Canada? A: Principal applicant doesn’t have to go through a medical examination because of the Juana Tejada Law. It is named after a Filipina, Juana Tejada. She is a fellow caregiver who fought relentlessly to achieve a PR status in spite of having cancer. Such case is not allowed at that time. She succumbed to cancer but she left a legacy for all the caregivers. Watch her inspiring story: Remembering Juana. Q: How did you submit the application for open work permit and permanent residency (online or mail)? A: I submitted my application through UPS but paid online. Don’t forget to ask for a tracking number and signature of the receiver. It costs around $20 ish. OWP and PR applications are inside the same envelope, but properly labelled to avoid confusion of the CIC officer. Maybe I missed some emails. Or not. If you haven’t receive a reply about your question, then it only means that the answer is in the blog post. Read the blog post first before asking a question since most of the time, all you have to do is click the link or read. NOT skim through the words. I know it’s tedious but that simple act of reading can save us both of time and effort. May you be able to make an informed decision with all the resources. If you the answers seemed too short, well let’s move on to the following related posts. The following top post relevant to caregivers can also help you or someone; have a look and share your thoughts. Don’t forget to subscribe for upcoming posts or send that question. Sometimes a question deserves an entire post of enlightenment. Make sure you don’t miss any of it. Hi. We are waiting for my sister VISA. What is the next step after she got her ViSa as TFW. Is it true that we need Agency from Philippines? Please need you thoughts. Thank you. Here’s my blog post that could answer your question.